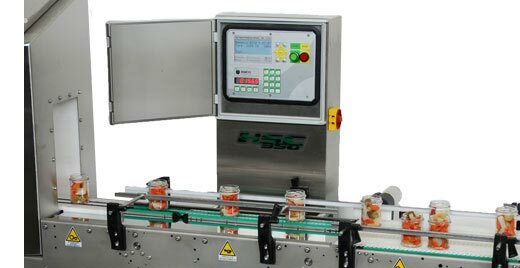 Created for use with jars, boxes, bricks and bottles in dry or wet environments, the “MR” series checkweigher is sturdily built and features a chain conveyor mechanism that achieves an optimum speed. The special chain in plastic material, allows the use of metal detectors and enables high sensitivity to metal detection. 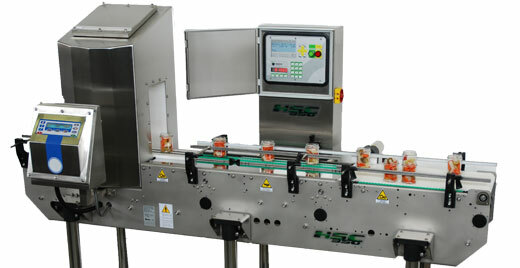 The exit conveyor, built with modular plastic belt, allows an easier division of the product on different lanes.